HitOrSplit.com offers blackjack and Spanish 21 players a free, web-based game to learn and practice basic strategy. Playing perfect basic strategy at the blackjack tables will help you reduce the house edge and improve your odds of leaving the casino a winner. HitOrSplit.com has the game to help you master the correct plays. 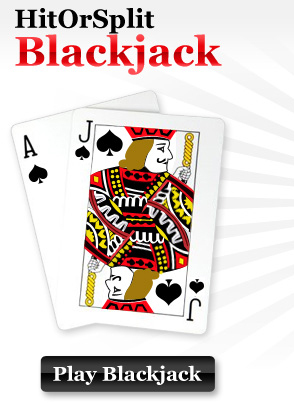 blackjack basic strategy game or the Spanish 21 basic strategy game now! 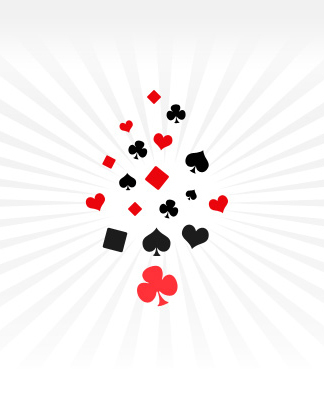 Basic strategy is a term used to describe the best blackjack strategy (or best Spanish 21 strategy) for non card counters. It tells you when to hit, when to stand, when to double, and when to split. Basic strategy also provides information on insurance, even money, early surrender, and late surrender. Memorizing the strategy chart can be time-consuming and boring, but the free online blackjack basic strategy trainer and the free online Spanish 21 basic strategy trainer at HitOrSplit make it easy by helping you learn as you play. For every decision to hit, stand, double, or split, the strategy game tells you if you made the correct play. You can practice playing soft hands (hands with an ace), pairs (hands that can be split), or use the challenge mode to practice only the most difficult stategy plays. 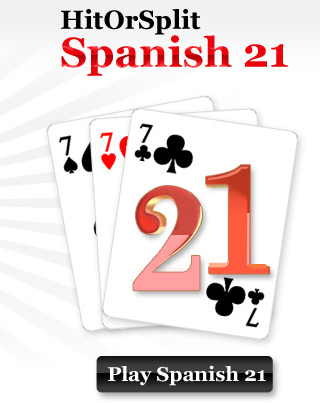 Practice with the HitOrSplit blackjack basic strategy trainer and the Spanish 21 Basic Strategy Trainer, and you will be playing perfect basic strategy in no time. © 2008 HitOrSplit.com. All rights reserved.